This is a special giving show featuring gifted women with gifts to give….just in case you haven’t finished all that holiday shopping! 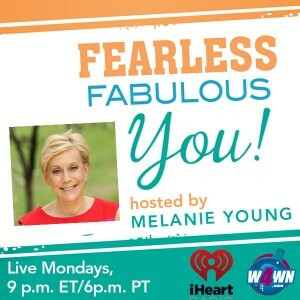 My first guest is someone I know from both worlds of restaurants and philanthropy. Los Angeles based Barbara Lazaroff, ASID, is a designer and product developer, restaurateur, author and mother. 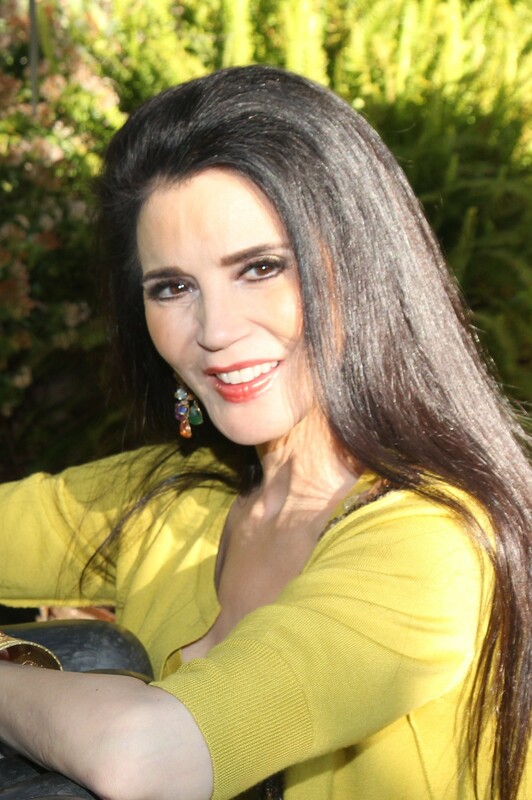 A talented business woman as well as creative artist, Barbara is the brand co-founder and interior designer of the acclaimed restaurants, Spago Hollywood, Spago Beverly Hills, Chinois in Las Vegas and Santa Monica, California. In 1994, Barbara co-founded the Wolfgang Puck Food Co. and was the director of Restaurant Design and Development until 2000. Barbara is also co-owner of all the affiliate companies and a majority shareholder in Wolfgang Puck Worldwide and is one of the owners of the Wolfgang Puck licensed products; i.e., cookware & accessories which are sold by HSN. Giving back to her community is has been part of Barbara’s DNA since her working class childhood in New York. Today, her giving heart and largesse have helped numerous organizations, both locally in her community and at-large globally for more than 32 years. Barbara is prominently known in the Los Angeles community for her fundraising to alleviate hunger through two organizations. She co-founded the American Wine & Food Festival for Meals on Wheels which has raised over $25 million for the homebound elderly. In addition, Barbara has fund-raised for Mazon, a world hunger relief organization based in Los Angeles that recognized her at Disney Concert Hall. For 30 years she has hosted Mazon Passover Charity Seder dinners held at her restaurant, Spago. Barbara has also been deeply vested in fundraising for cancer research since the early 1980s, having co-founded the 30 year old California Spirit event for the American Cancer Society. She also fund-raises and serves on the board of the Israel Cancer Research Fund and the board of the Friends of Sheba Medical Center; this vital research benefits the world. Barbara’s work with Aviva Family and Children’s Services resulted in her spearheading a one million dollar, five year makeover of the 50 year old Annenberg Home for at-risk girls. Other organizations her work has impacted include: Alliance for Housing & Healing/Serra Project/Aid for Aids, APLA, DIFFA, Shanti, Project Angel Food, James Beard Foundation, KindredSPIRITS, Big Brothers Big Sisters, Fulfillment Fund, NAWBO-L.A. Chapter, Zimmer’s Children’s Museum, Cedars-Sinai Hospital and Cleveland’s University Hospital. 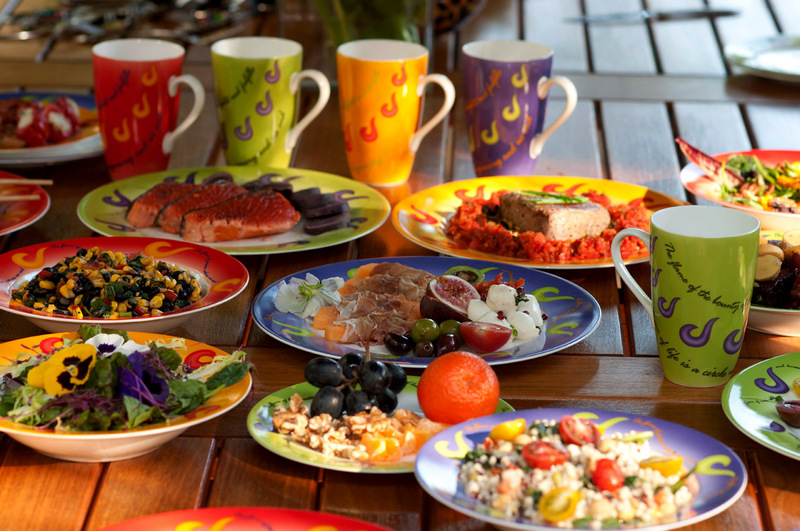 This holiday season, Barbara’s has designed gorgeous line of dinnerware called “Flame of Life,” available on Amazon, with sales supporting many of her charities. What would it take for you to walk away from a lucrative banking career to pursue a passion? For Joan Coukos it was the allure of chocolate. Joan majored in Russian and French at Duke University and received an MBA from UNC Chapel Hill before beginning a banking career that spanned New York and Moscow. On a trip to Brussels in 2000, she fell under the spell of old world, hand made chocolates and began creating recipes back in her tiny Manhattan kitchen. Her bank coworkers became the first enthusiastic guinea pigs, and upon receiving repeated accolades, she began taking formal steps to becoming a chocolatier, studying chocolate and confectionery arts with a coterie of world-class French, Belgian, American and Swiss chocolatiers in New York and at The World Pastry Forum in Las Vegas. 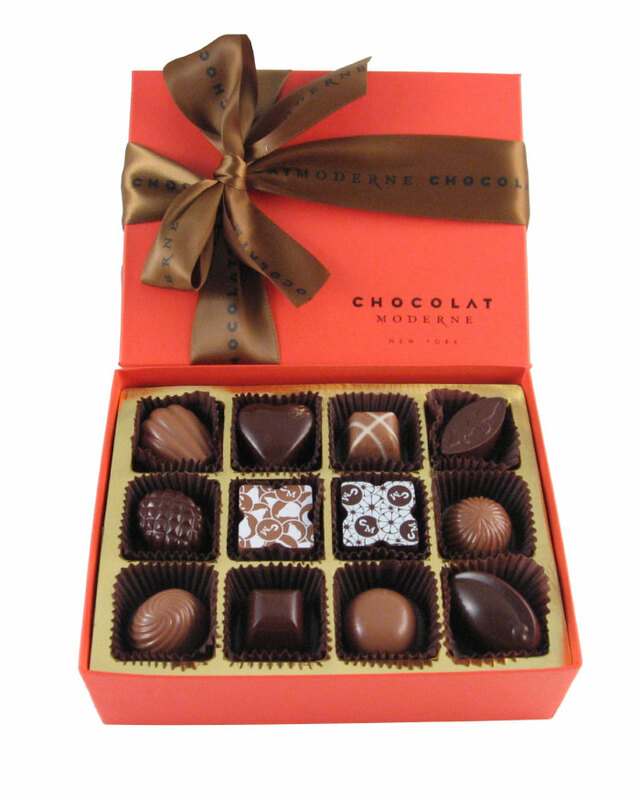 In 2003, she founded Chocolat Moderne® with a mission to create visually stunning, hand-crafted confections filled with perfectly balanced, on-trend flavors. 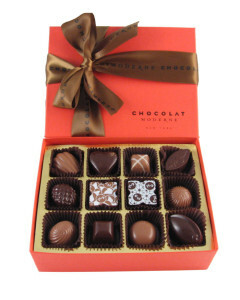 Joan believes that chocolate will always be in style – especially luxe gourmet chocolate. Like fashion design, Chocolat Moderne’s chocolate assortments are a vibrant, ever-changing, delectable collection wrapped in distinctive packaging. It starts with a base of quality ingredients: Valrhona French chocolate with a high cocoa content and emphasis on growing regions; European style butter; cocoa butter; full cream; granulated pure cane and specialized confectionery sugars. 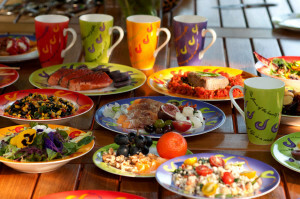 Then you add luscious fillings such as five different varieties of dark chocolate, pistachios, hazelnuts, fruit purees, fruit preserves, premium liqueurs, honey, essential oils, teas, spices, fresh squeezed citrus juices and zest. The chocolates are covered with extra bitter dark chocolate of 61% cocoa content. Everything is natural and free of preservatives or artificial flavors. Chocolat Moderne® has received top honors in the specialty food industry by winning multiple sofi™ Gold and Finalist Awards from the Specialty Food Association. Joan’s chocolates and her personal story have been featured on The Oprah Winfrey Show, The Food Network and The Cooking Channel. In 2013, Joan was inducted into the NY Chapter of Les Dames d’Escoffier International, a philanthropic society of women leaders in food, beverage and hospitality. 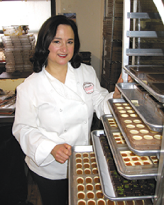 Later that year, she was named one of Dessert Professional Magazine’s Top Ten Chocolatiers of North America.